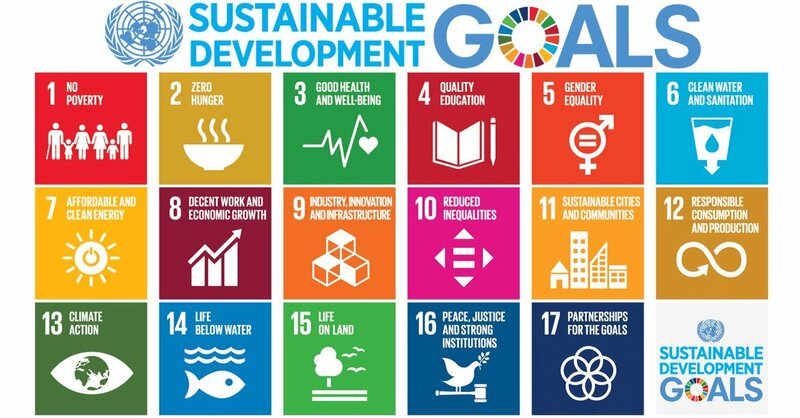 The 193-Member United Nations General Assembly today formally adopted the 2030 Agenda for Sustainable Development, along with a set of bold new Global Goals, which Secretary-General Ban Ki-moon hailed as a universal, integrated and transformative vision for a better world. Speaking to the press after the adoption of the Agenda, Mr. Ban said: “These Goals are a blueprint for a better future. Now we must use the goals to transform the world. We will do that through partnership and through commitment. We must leave no-one behind." “The 2030 Agenda compels us to look beyond national boundaries and short-term interests and act in solidarity for the long-term. We can no longer afford to think and work in silos. Institutions will have to become fit for a grand new purpose. The United Nations system is strongly committed to supporting Member States in this great new endeavour,” said Mr. Ban. “We must engage all actors, as we did in shaping the Agenda. We must include parliaments and local governments, and work with cities and rural areas. We must rally businesses and entrepreneurs. We must involve civil society in defining and implementing policies – and give it the space to hold us to account. We must listen to scientists and academia. We will need to embrace a data revolution. Most important, we must set to work – now,” added the Secretary-General. “Seventy years ago, the United Nations rose from the ashes of war. Governments agreed on a visionary Charter dedicated to ‘We the Peoples’. The Agenda you are adopting today advances the goals of the Charter. It embodies the aspirations of people everywhere for lives of peace, security and dignity on a healthy planet,” said Mr. Ban. “We recognize the need to reduce inequalities and to protect our common home by changing unsustainable patterns of consumption and production. And, we identify the overwhelming need to address the politics of division, corruption and irresponsibility that fuel conflict and hold back development,” he said. On the adoption of the new agenda, UN Economic and Social Council President (ECOSOC) Oh Joon said action on Sustainable Development Goals must start immediately. “The Economic and Social Council stands ready to kick-start the work on the new agenda,” he added. 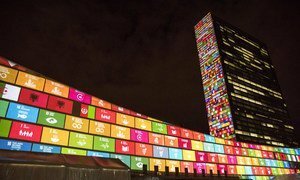 World leaders, heads of global financial institutions and other dignitaries are heading to New York, where, after months of intense negotiations, the United Nations is set to launch a landmark new framework for sustainable development that will aim to end poverty and build a life of dignity for all, leaving no one behind.